In 1995, four pioneers made their dreams a reality by founding Shanghai Freemen Life Sciences. 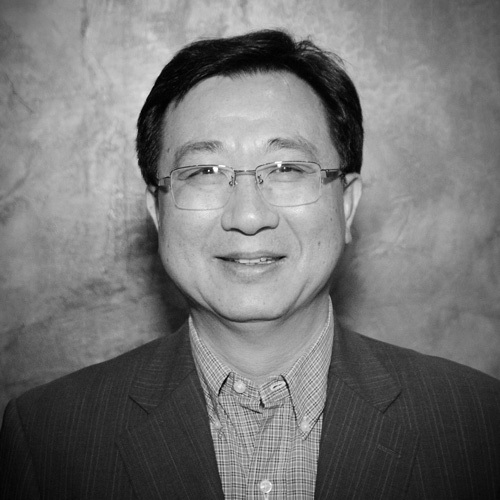 Led by David Zhang, the courageous group of ingredient innovators first introduced glucosamine into the U.S. market, and has since grown Shanghai Freemen into a globally recognized manufacturer and distributor of specialty food and nutrition ingredients. Flash-forward to today, Shanghai Freemen is a team of dedicated, expertly trained individuals with operations in four countries. We draw on our 20 years of global experience to deliver high quality, competitively priced products. Although we have grown since our humble beginnings, our foundation remains ingrained in everything we do – quality ingredients, unparalleled market knowledge, and a commitment to exceptional customer service. Although we’re an international company, we still practice authentic, old world values. We act like owners and operate with integrity to build trust and close partnerships with each of our customers and suppliers. We are transparent and inclusive throughout our entire supply chain. We would never sell you an ingredient we wouldn’t use ourselves. We believe customer service ensures business success, which is why we provide each of our customers with a dedicated representative. We hold ourselves accountable, and invest heavily in our Quality Assurance, Quality Control, and Research & Development departments. We strive to be market experts. With global headquarters in Shanghai, China, and a team of dedicated product managers, we are able to quickly act on our fast paced, ever-changing market. Supporting global requirements with the highest quality nutraceutical ingredients. Identifying innovative ingredients to provide a first-to-market advantage. Connecting customers with our best-in-class Chinese-based partners to make their products and vision a reality. Our founder, David Zhang has been referred to as the “Glucosamine Godfather” because he was one of the first individuals to import Glucosamine and Chondroitin into the US. We invite you watch our video introduction of Shanghai Freemen, a visual and descriptive overview of our company. A company with the relationships, market intelligence and experience to understand and manage the full supply chain and provide full transparency on all of the ingredients it provides. Our history is based on knowledge, experience, and the desire to bring the highest quality ingredients to the world. Four founders started Shanghai Freemen International and quickly became a leading manufacturer and global marketer of Glucosamine. David Zhang (CEO), aka “Glucosamine Godfather” became one of the first individuals to import Glucosamine and Chondroitin into the US. Introduced Glucosamine into the Japan market. Established US Headquarters in NJ to support US customers. Formed Shanghai Freemen Chemicals with a focus on agricultural chemical intermediates. Reached sales revenues of US $100 million. Invested in and started to produce Glucosamine in both China and Vietnam. Shanghai Freemen Group earned “Top five largest private export & import chemical enterprises in Shanghai” title. Invested in ZCHT (Zhucheng Haotian), a Stevia manufacturer and the largest manufacturer of Inositol in the world. Established Shanghai Freemen Japan in Tokyo. Moved Shanghai Freemen LifeScience to its current headquarters in Shanghai. Began tea partnership with Chengdu Wagott Biotech. Established Shanghai Freemen Europe in the Netherlands. Began Joywin Global Exclusivity partnership. Exclusively partnered with Innobio Global. Established Shanghai Freemen West Coast office in Brea CA. With strategic locations around the world, we are able to provide our customers what they need, when they need it.